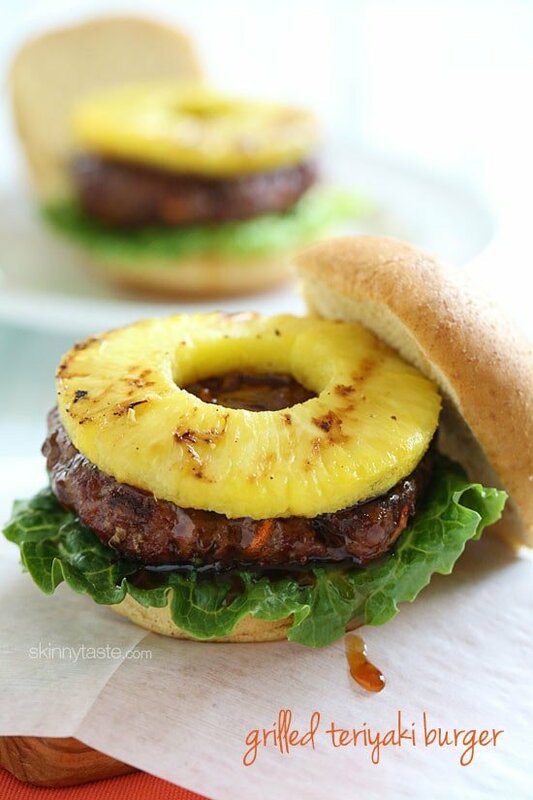 If you’re looking for a new way to enjoy a burger, then I think you’ll love this Hawaiian inspired teriyaki burger made with lean ground beef, carrots, scallions and topped with a homemade pineapple teriyaki sauce and a grilled pineapple. This was inspired by a trip to Disney World with my husband and youngest daughter Madison. We stayed at the Grand Floridian Resort which was a lovely place to stay. 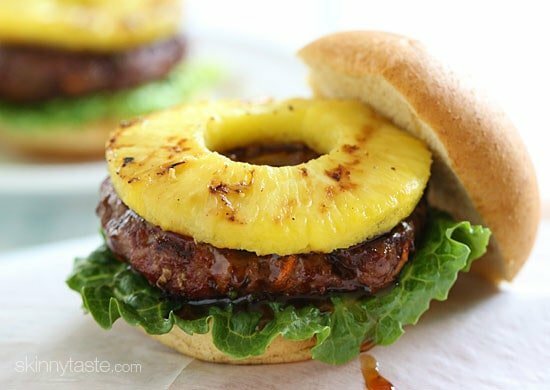 One of those nights we ate dinner at the Kona Cafe at Disney’s Polynesian Resort, where I had a delicious teriyaki steak topped with pineapple; which was the inspiration for this burger recipe. I did a little research into what goes into a Hawaian teriyaki sauce, and after reading many recipes I came up with my own version which was so good, this will certainly be a regular. You could of course buy teriyaki marinade to speed this up, but making it from scratch tastes sooo much better. 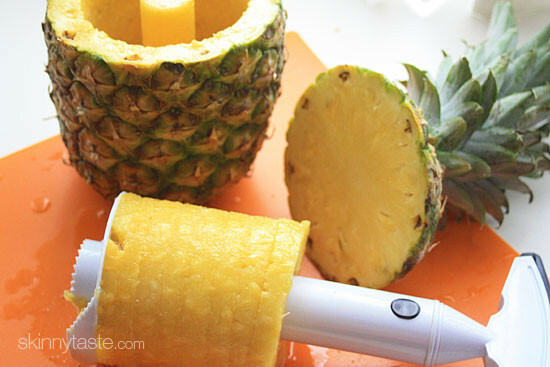 And I just have to share this contraption that easily cuts pineapple into perfect rings. My girlfriend Gabbie bought this for me a few years ago, and I love it; it’s called the Pineapple Easy Slicer. It’s simple to use and it’s awesome. If you prefer canned pineapple, be sure it’s packed in juice and not syrup. By the way, this is also great without the bun if you’re watching your carbs, just serve it on a bed of lettuce and drizzle the teriyaki sauce on top. Without the bun, the burgers are Weight Watchers 6 points plus. Add cornstarch water mixture and simmer until thick, about 2 minutes. Remove from heat and set aside to cool. Heat the grill. When hot clean the grates and spray with oil. 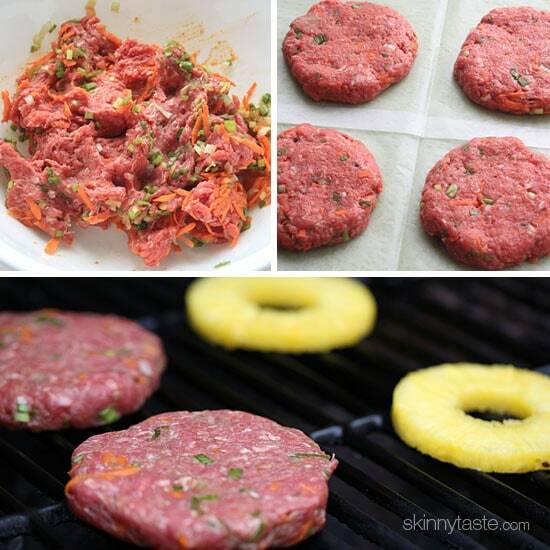 Place the patties on the grill and cook on high heat for about 5 to 7 minutes on each side, or until burgers are cooked to your liking. 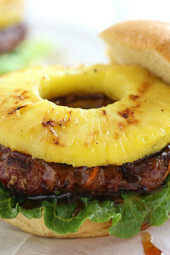 While the burgers are cooking, grill the pineapple slices for about 2 to 3 minutes on each side. 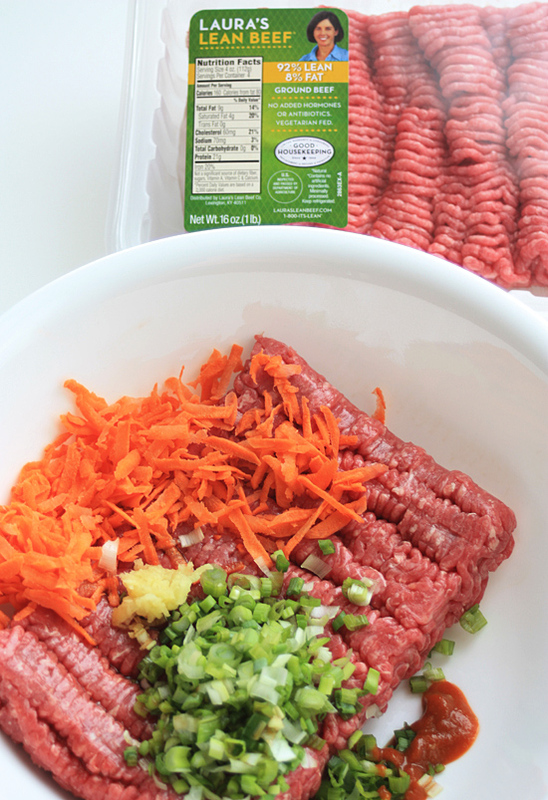 Disclosure: This post is sponsored by Laura’s Lean Beef. I only share products I am passionate about and use in my own kitchen on a daily basis. I created this recipe and received compensation to do so, hope you enjoy!